What do you look for when you are planning a family vacation? 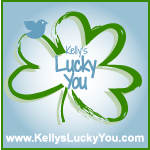 If a learning component is important to you, I have a suggestion! 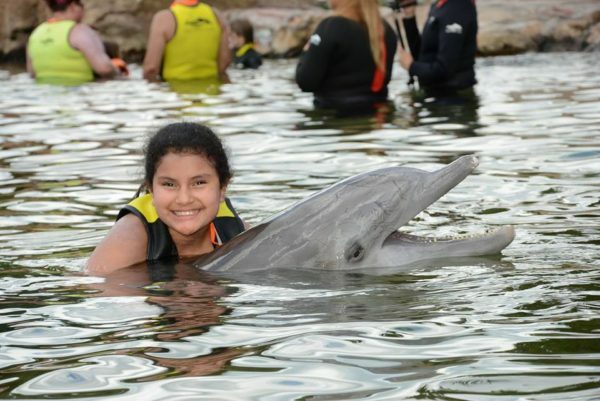 My daughter and I recently took a long weekend to Discovery Cove in Orlando and I found that the animal interaction was something that my daughter enjoyed doing, but also taught her more about the animals that she loves. 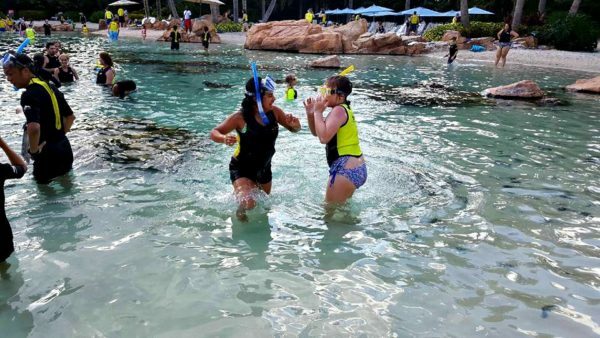 Have you heard of Discovery Cove? My husband and I (BC – before child) visited there and I knew my daughter would love it as much as I did. 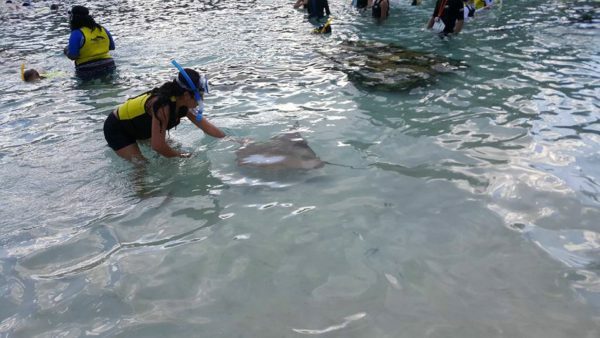 The main highlight is a swim interaction with dolphins but there is also snorkeling with stingrays and tropical fish, a bird aviary, and more. 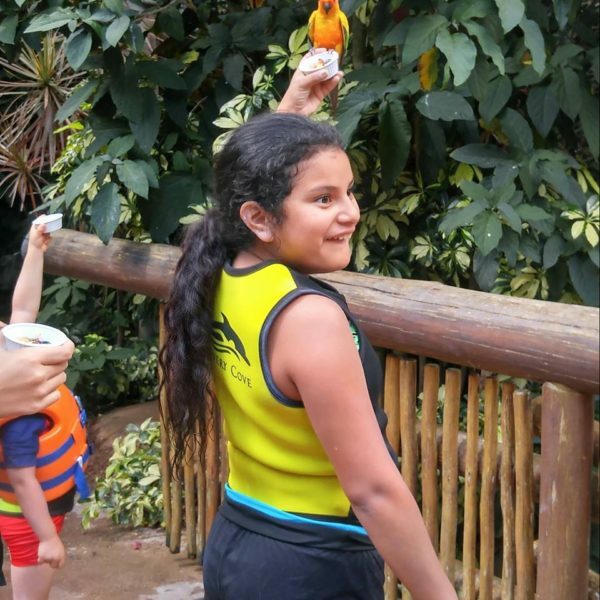 Come along with me to see the fun and exciting things at Discovery Cove! As soon as you walk in, the excitement of a dolphin adventure begins. Everything is included in your admission, so there is no need to carry a purse, wallet, or any money. You can leave everything behind in a secure locker and enjoy your adventure. 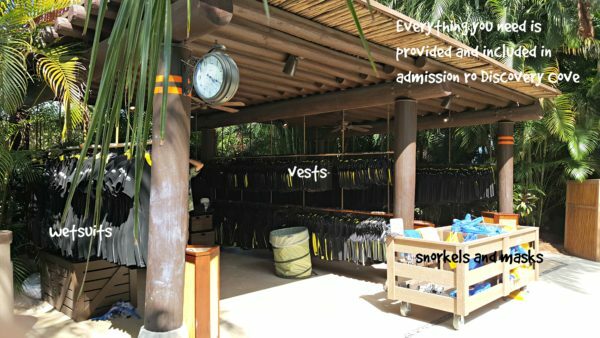 All guests at Discovery Cove are asked to wear either a wet suit or a vest, so we headed there next. My daughter and I chose vests, but if you are worried about being cold in the water, you can choose a wet suit. 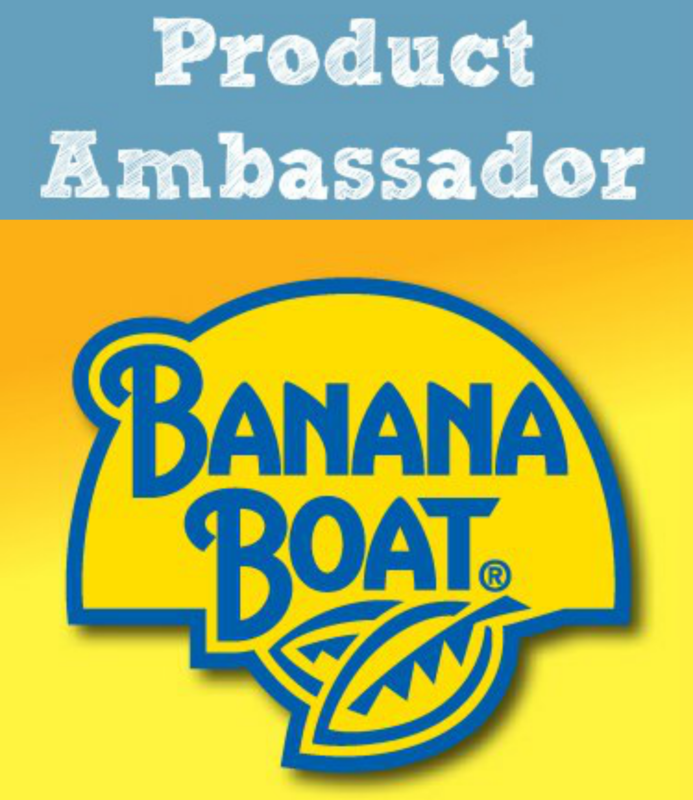 The vests are extremely comfortable and add a bit of bouyancy when you are swimming. There are also flotation vests available. Even though I can swim, I tried a flotation vest the first time out, but quickly returned it because the wet suit vest and salt water, gave me more than enough help floating. 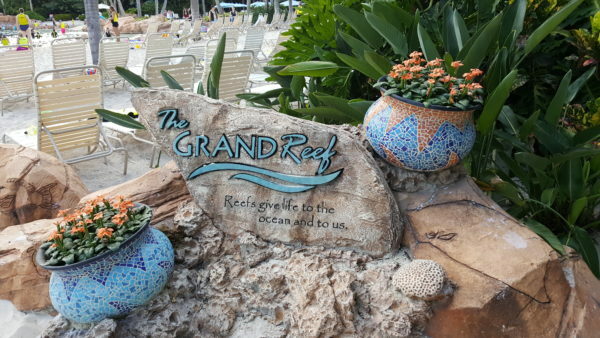 Grab one of the provided snorkels and mask, then off to The Grand Reef! There are many varieties of colorful, interesting, amazing fish in The Discovery Cove Grand Reef. It was an incredible experience to snorkle among them. It is very safe, both for the swimmers and the fish. No worries of damaging coral, stepping on an endangered or a poisonous creature, no eels or sharks. 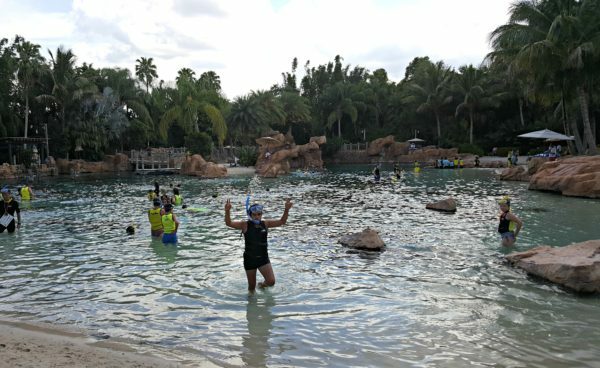 Also, the attendance at Discovery Cove is limited, so it is also not over crowded. You are free to float along, no worries! 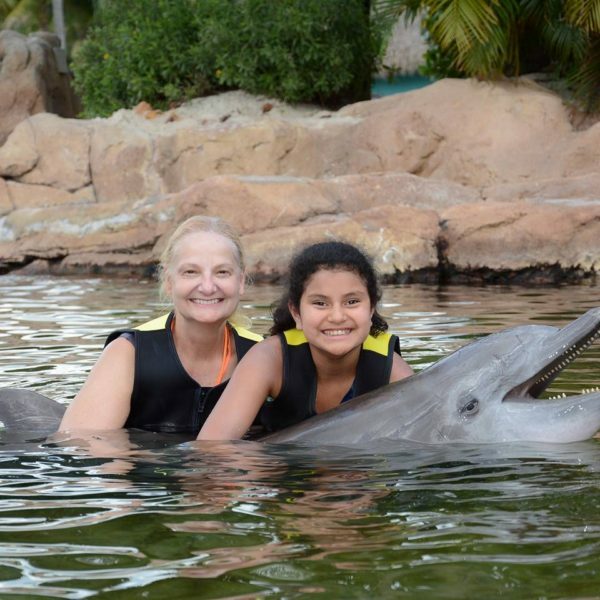 Each person is assigned a time for their dolphin encounter. 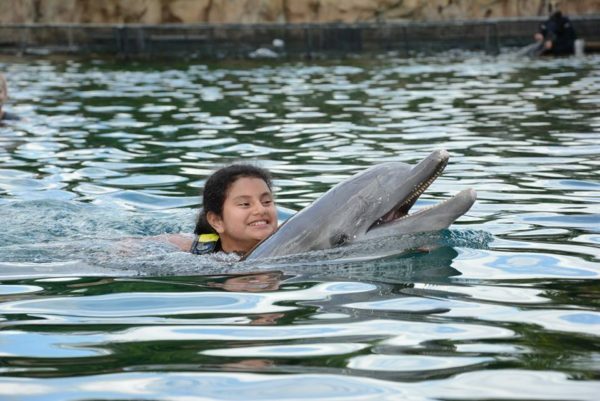 After watching a quick video, you head into the dolphin area and meet one of these fun creatures. We learned about hand signals and how smart they are. It was an unforgettable experience. It’s difficult to find words to describe the feelings of being able to touch and interact with these beautiful creatures. I felt honored to be able to share this with my daughter. I also learned about marine sustainability on our trip. I have to admit, before we scheduled this vacation, I had never thought about where the fish on my plate, or the fish in an aquarium came from, *blush*. It never crossed my mind. Since then, I’ve learned that it’s quite a complicated issue. 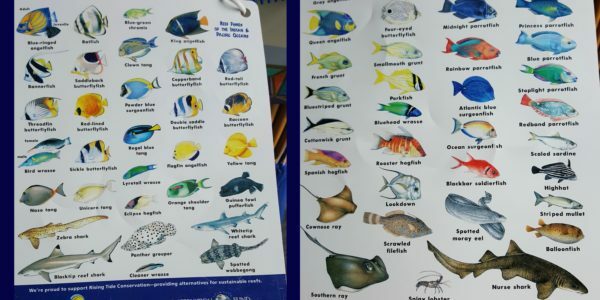 With the movie, Finding Dory, everyone wants a “Dory fish” but did you know that the blue tang can’t be raised in captivity so they are all harvested from the ocean? Are you saying “so what”? The reason that matters, is that when most aquarium fish are caught, most often, coral reefs are damaged in the process. Mankind has a long way to go when it comes to animal welfare. Anyone sitting now with leather shoes, eating a hamburger, or who had eggs for breakfast probably needs to consider what animal welfare means to them. It’s easy to say that a lion in a 20 foot square cage is cruelty, but there are other much more difficult judgments. I have been struggling with choices, as I learn more and more about how we treat animals, where my food and pets come from, and how everyday choices affect the animals not only on land but in the oceans. During my trip, a SeaWorld staff member told me that SeaWorld is listening to the changing views on animal welfare and changing their own policies and practices. 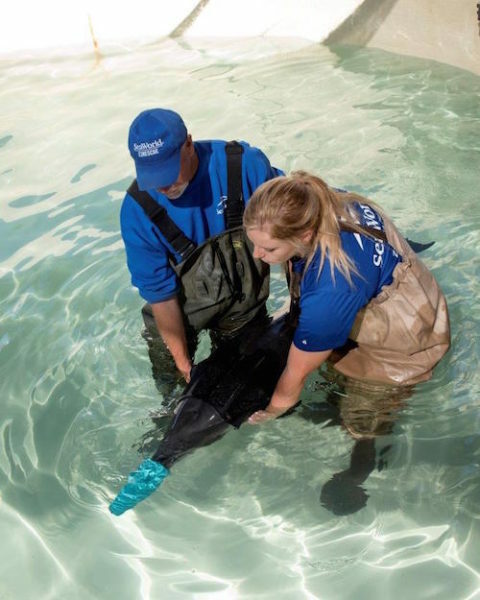 Through SeaWorld Cares, SeaWorld is rescuing and releasing into the wild thousands of marine animals. We all need to be aware and hold companies accountable, protecting and conserving our beautiful world and the creatures in it. Rising Tides Conservation is an initiative to develop ways of raising blue tangs, and many other fish, in captivity so that they don’t have to be harvested from the ocean with the subsequent damage to coral reefs. Rising Tides has already experienced success with raising yellow tang and several others but there is more work to do. Please take a moment to learn more about this important cause on their website, Rising Tides Conservation. If you are thinking about starting a home aquarium, consider fresh water fish and check to see of they are a sustainable variety. We can all do our part to preserve the oceans and protect our world.